Get exclusive A.N.Phi gear including clothes, apparel, gifts, merchandise, and accessories by stuff4GREEKS - the paraphernalia of choice. Custom-embroidered Greek clothing and more. Get exclusive Acacia Fraternity gear including clothes, apparel, gifts, merchandise, and accessories by stuff4GREEKS - the paraphernalia of choice. Custom-embroidered Greek clothing and more. Get exclusive Alpha Angels gear including clothes, apparel, gifts, merchandise, and accessories by stuff4GREEKS - the paraphernalia of choice. Custom-embroidered Greek clothing and more. Get exclusive Alpha Beta Sigma sorority gear including clothes, apparel, gifts, merchandise, and accessories by stuff4GREEKS - the paraphernalia of choice. Custom-embroidered Greek clothing and more. Get exclusive Alpha Chi Omega gear including clothes, apparel, gifts, merchandise, and accessories by stuff4GREEKS - the paraphernalia of choice. Custom-embroidered Greek clothing and more. Get exclusive Alpha Chi Rho gear including clothes, apparel, gifts, merchandise, and accessories by stuff4GREEKS - the paraphernalia of choice. Custom-embroidered Greek clothing and more. Get exclusive Alpha Delta Chi sorority gear including clothes, apparel, gifts, merchandise, and accessories by stuff4GREEKS - the paraphernalia of choice. Custom-embroidered Greek clothing and more. Get exclusive Alpha Delta Gamma Fraternity gear including clothes, apparel, gifts, merchandise, and accessories by stuff4GREEKS - the paraphernalia of choice. Custom-embroidered Greek clothing and more. Get exclusive Alpha Delta Phi Fraternity gear including clothes, apparel, gifts, merchandise, and accessories by stuff4GREEKS - the paraphernalia of choice. Custom-embroidered Greek clothing and more. Get exclusive Alpha Delta Pi sorority gear including clothes, apparel, gifts, merchandise, and accessories by stuff4GREEKS - the paraphernalia of choice. Custom-embroidered Greek clothing and more. Get exclusive Alpha Epsilon Omega Fraternity gear including clothes, apparel, gifts, merchandise, and accessories by stuff4GREEKS - the paraphernalia of choice. Custom-embroidered Greek clothing and more. Get exclusive Alpha Epsilon Phi gear including clothes, apparel, gifts, merchandise, and accessories by stuff4GREEKS - the paraphernalia of choice. Custom-embroidered Greek clothing and more. Get exclusive Alpha Epsilon Pi Fraternity gear including clothes, apparel, gifts, merchandise, and accessories by stuff4GREEKS - the paraphernalia of choice. Custom-embroidered Greek clothing and more. Get exclusive Alpha Eta Omega sorority gear including clothes, apparel, gifts, merchandise, and accessories by stuff4GREEKS - the paraphernalia of choice. Custom-embroidered Greek clothing and more. Get exclusive Alpha Eta Rho Fraternity gear including clothes, apparel, gifts, merchandise, and accessories by stuff4GREEKS - the paraphernalia of choice. Custom-embroidered Greek clothing and more. Get exclusive Alpha Eta Theta sorority gear including clothes, apparel, gifts, merchandise, and accessories by stuff4GREEKS - the paraphernalia of choice. Custom-embroidered Greek clothing and more. Get exclusive Alpha Gamma Delta gear including clothes, apparel, gifts, merchandise, and accessories by stuff4GREEKS - the paraphernalia of choice. Custom-embroidered Greek clothing and more. Get exclusive Alpha Gamma Kappa Fraternity gear including clothes, apparel, gifts, merchandise, and accessories by stuff4GREEKS - the paraphernalia of choice. Custom-embroidered Greek clothing and more. Get exclusive Alpha Gamma Omega Fraternity gear including clothes, apparel, gifts, merchandise, and accessories by stuff4GREEKS - the paraphernalia of choice. Custom-embroidered Greek clothing and more. Get exclusive Alpha Gamma Rho Fraternity gear including clothes, apparel, gifts, merchandise, and accessories by stuff4GREEKS - the paraphernalia of choice. Custom-embroidered Greek clothing and more. Get exclusive Alpha Gamma Sigma Fraternity gear including clothes, apparel, gifts, merchandise, and accessories by stuff4GREEKS - the paraphernalia of choice. Custom-embroidered Greek clothing and more. Get exclusive Alpha Iota Omicron Fraternity gear including clothes, apparel, gifts, merchandise, and accessories by stuff4GREEKS - the paraphernalia of choice. Custom-embroidered Greek clothing and more. Alpha Kappa Alpha™ Sorority, Inc.
Get exclusive Alpha Kappa Alpha™ sorority gear including clothes, apparel, gifts, merchandise, and accessories by stuff4GREEKS - the paraphernalia of choice. Custom-embroidered Greek clothing and more. Get exclusive alpha Kappa Delta Phi sorority gear including clothes, apparel, gifts, merchandise, and accessories by stuff4GREEKS - the paraphernalia of choice. Custom-embroidered Greek clothing and more. Get exclusive Alpha Kappa Divah gear including clothes, apparel, gifts, merchandise, and accessories by stuff4GREEKS - the paraphernalia of choice. Custom-embroidered Greek clothing and more. Get exclusive Alpha Kappa Lambda gear including clothes, apparel, gifts, merchandise, and accessories by stuff4GREEKS - the paraphernalia of choice. Custom-embroidered Greek clothing and more. Get exclusive Alpha Kappa Psi gear including clothes, apparel, gifts, merchandise, and accessories by stuff4GREEKS - the paraphernalia of choice. Custom-embroidered Greek clothing and more. Get exclusive Alpha Lambda Omega sorority gear including clothes, apparel, gifts, merchandise, and accessories by stuff4GREEKS - the paraphernalia of choice. Custom-embroidered Greek clothing and more. Get exclusive Alpha Lambda Zeta Fraternity gear including clothes, apparel, gifts, merchandise, and accessories by stuff4GREEKS - the paraphernalia of choice. Custom-embroidered Greek clothing and more. Get exclusive Alpha Nu Kappa sorority gear including clothes, apparel, gifts, merchandise, and accessories by stuff4GREEKS - the paraphernalia of choice. Custom-embroidered Greek clothing and more. Get exclusive Alpha Nu Omega Fraternity and Sorority gear including clothes, apparel, gifts, merchandise, and accessories by stuff4GREEKS - the paraphernalia of choice. Custom-embroidered Greek clothing and more. Alpha Omega Christian Sorority, Inc.
Get exclusive Alpha Omega Christian Sorority gear including clothes, apparel, gifts, merchandise, and accessories by stuff4GREEKS - the paraphernalia of choice. Custom-embroidered Greek clothing and more. Get exclusive Alpha Omega Epsilon sorority gear including clothes, apparel, gifts, merchandise, and accessories by stuff4GREEKS - the paraphernalia of choice. Custom-embroidered Greek clothing and more. Get exclusive Alpha Omega Eta sorority gear including clothes, apparel, gifts, merchandise, and accessories by stuff4GREEKS - the paraphernalia of choice. Custom-embroidered Greek clothing and more. Get exclusive Alpha Omega Nu Fraternity gear including clothes, apparel, gifts, merchandise, and accessories by stuff4GREEKS - the paraphernalia of choice. Custom-embroidered Greek clothing and more. Get exclusive Alpha Omega Psi gear including clothes, apparel, gifts, merchandise, and accessories by stuff4GREEKS - the paraphernalia of choice. Custom-embroidered Greek clothing and more. Get exclusive Alpha Omega Theta Fraternity gear including clothes, apparel, gifts, merchandise, and accessories by stuff4GREEKS - the paraphernalia of choice. Custom-embroidered Greek clothing and more. Get exclusive Alpha Omega Theta Christian Fraternity gear including clothes, apparel, gifts, merchandise, and accessories by stuff4GREEKS - the paraphernalia of choice. Custom-embroidered Greek clothing and more. Get exclusive Alpha Omicron Pi gear including clothes, apparel, gifts, merchandise, and accessories by stuff4GREEKS - the paraphernalia of choice. Custom-embroidered Greek clothing and more. Get exclusive Alpha Phi gear including clothes, apparel, gifts, merchandise, and accessories by stuff4GREEKS - the paraphernalia of choice. Custom-embroidered Greek clothing and more. Get exclusive Alpha Phi Alpha Fraternity gear including clothes, apparel, gifts, merchandise, and accessories by stuff4GREEKS - the paraphernalia of choice. Custom-embroidered Greek clothing and more. Get exclusive Alpha Phi Delta Fraternity gear including clothes, apparel, gifts, merchandise, and accessories by stuff4GREEKS - the paraphernalia of choice. Custom-embroidered Greek clothing and more. Get exclusive Alpha Phi Gamma sorority gear including clothes, apparel, gifts, merchandise, and accessories by stuff4GREEKS - the paraphernalia of choice. Custom-embroidered Greek clothing and more. Get exclusive Alpha Phi Omega gear including clothes, apparel, gifts, merchandise, and accessories by stuff4GREEKS - the paraphernalia of choice. Custom-embroidered Greek clothing and more. Get exclusive Alpha Pi Chi sorority gear including clothes, apparel, gifts, merchandise, and accessories by stuff4GREEKS - the paraphernalia of choice. Custom-embroidered Greek clothing and more. Get exclusive Alpha Pi Delta gear including clothes, apparel, gifts, merchandise, and accessories by stuff4GREEKS - the paraphernalia of choice. Custom-embroidered Greek clothing and more. Get exclusive Alpha Pi Lambda Fraternity gear including clothes, apparel, gifts, merchandise, and accessories by stuff4GREEKS - the paraphernalia of choice. Custom-embroidered Greek clothing and more. Get exclusive Alpha Pi Omega sorority gear including clothes, apparel, gifts, merchandise, and accessories by stuff4GREEKS - the paraphernalia of choice. Custom-embroidered Greek clothing and more. Get exclusive Alpha Pi Sigma sorority gear including clothes, apparel, gifts, merchandise, and accessories by stuff4GREEKS - the paraphernalia of choice. Custom-embroidered Greek clothing and more. Get exclusive Alpha Pi Zeta sorority gear including clothes, apparel, gifts, merchandise, and accessories by stuff4GREEKS - the paraphernalia of choice. Custom-embroidered Greek clothing and more. Alpha Psi Kappa Fraternity, Inc.
Get exclusive Alpha Psi Kappa gear including clothes, apparel, gifts, merchandise, and accessories by stuff4GREEKS - the paraphernalia of choice. Custom-embroidered Greek clothing and more. Get exclusive Alpha Psi Lambda gear including clothes, apparel, gifts, merchandise, and accessories by stuff4GREEKS - the paraphernalia of choice. Custom-embroidered Greek clothing and more. Get exclusive Alpha Psi Omega Honor Society gear including clothes, apparel, gifts, merchandise, and accessories by stuff4GREEKS - the paraphernalia of choice. Custom-embroidered Greek clothing and more. Get exclusive Alpha Psi Rho Fraternity gear including clothes, apparel, gifts, merchandise, and accessories by stuff4GREEKS - the paraphernalia of choice. Custom-embroidered Greek clothing and more. Get exclusive Alpha Rho Chi gear including clothes, apparel, gifts, merchandise, and accessories by stuff4GREEKS - the paraphernalia of choice. Custom-embroidered Greek clothing and more. Get exclusive Alpha Rho Delta Fraternity gear including clothes, apparel, gifts, merchandise, and accessories by stuff4GREEKS - the paraphernalia of choice. Custom-embroidered Greek clothing and more. Get exclusive Alpha Rho Lambda sorority gear including clothes, apparel, gifts, merchandise, and accessories by stuff4GREEKS - the paraphernalia of choice. Custom-embroidered Greek clothing and more. Get exclusive Alpha Sigma Alpha gear including clothes, apparel, gifts, merchandise, and accessories by stuff4GREEKS - the paraphernalia of choice. Custom-embroidered Greek clothing and more. Get exclusive Alpha Sigma Delta sorority gear including clothes, apparel, gifts, merchandise, and accessories by stuff4GREEKS - the paraphernalia of choice. Custom-embroidered Greek clothing and more. Alpha Sigma Omega Latina Sorority, Inc.
Get exclusive Alpha Sigma Omega Latina Sorority gear including clothes, apparel, gifts, merchandise, and accessories by stuff4GREEKS - the paraphernalia of choice. Custom-embroidered Greek clothing and more. Get exclusive Alpha Sigma Phi Fraternity and Foundation gear including clothes, apparel, gifts, merchandise, and accessories by stuff4GREEKS - the paraphernalia of choice. Custom-embroidered Greek clothing and more. Get exclusive Alpha Sigma Rho sorority gear including clothes, apparel, gifts, merchandise, and accessories by stuff4GREEKS - the paraphernalia of choice. Custom-embroidered Greek clothing and more. Get exclusive Alpha Sigma Tau gear including clothes, apparel, gifts, merchandise, and accessories by stuff4GREEKS - the paraphernalia of choice. Custom-embroidered Greek clothing and more. Get exclusive Alpha Sigma Theta sorority gear including clothes, apparel, gifts, merchandise, and accessories by stuff4GREEKS - the paraphernalia of choice. Custom-embroidered Greek clothing and more. Get exclusive Alpha Sigma Upsilon Fraternity gear including clothes, apparel, gifts, merchandise, and accessories by stuff4GREEKS - the paraphernalia of choice. Custom-embroidered Greek clothing and more. Get exclusive Alpha Tau Mu Fraternity gear including clothes, apparel, gifts, merchandise, and accessories by stuff4GREEKS - the paraphernalia of choice. Custom-embroidered Greek clothing and more. Get exclusive Alpha Tau Omega Fraternity gear including clothes, apparel, gifts, merchandise, and accessories by stuff4GREEKS - the paraphernalia of choice. Custom-embroidered Greek clothing and more. Get exclusive Alpha Theta Delta gear including clothes, apparel, gifts, merchandise, and accessories by stuff4GREEKS - the paraphernalia of choice. Custom-embroidered Greek clothing and more. Get exclusive Alpha Theta Epsilon sorority gear including clothes, apparel, gifts, merchandise, and accessories by stuff4GREEKS - the paraphernalia of choice. Custom-embroidered Greek clothing and more. Get exclusive Alpha Theta Omega sorority gear including clothes, apparel, gifts, merchandise, and accessories by stuff4GREEKS - the paraphernalia of choice. Custom-embroidered Greek clothing and more. Get exclusive Alpha Theta Pi sorority gear including clothes, apparel, gifts, merchandise, and accessories by stuff4GREEKS - the paraphernalia of choice. Custom-embroidered Greek clothing and more. Get exclusive Alpha Upsilon Nu Fraternity gear including clothes, apparel, gifts, merchandise, and accessories by stuff4GREEKS - the paraphernalia of choice. Custom-embroidered Greek clothing and more. Get exclusive Alpha Xi Delta Women's Fraternity gear including clothes, apparel, gifts, merchandise, and accessories by stuff4GREEKS - the paraphernalia of choice. Custom-embroidered Greek clothing and more. Get exclusive Alpha Zeta gear including clothes, apparel, gifts, merchandise, and accessories by stuff4GREEKS - the paraphernalia of choice. Custom-embroidered Greek clothing and more. Get exclusive Alpha Zeta Omega gear including clothes, apparel, gifts, merchandise, and accessories by stuff4GREEKS - the paraphernalia of choice. Custom-embroidered Greek clothing and more. Get exclusive Turtles gear including clothes, apparel, gifts, merchandise, and accessories by stuff4GREEKS - the paraphernalia of choice. Custom-embroidered Greek clothing and more. Get exclusive Beta Chi Theta Fraternity gear including clothes, apparel, gifts, merchandise, and accessories by stuff4GREEKS - the paraphernalia of choice. Custom-embroidered Greek clothing and more. Get exclusive Beta Gamma Nu Fraternity gear including clothes, apparel, gifts, merchandise, and accessories by stuff4GREEKS - the paraphernalia of choice. Custom-embroidered Greek clothing and more. Get exclusive Beta Kappa Gamma Fraternity gear including clothes, apparel, gifts, merchandise, and accessories by stuff4GREEKS - the paraphernalia of choice. Custom-embroidered Greek clothing and more. Get exclusive Beta Kappa Psi Fraternity gear including clothes, apparel, gifts, merchandise, and accessories by stuff4GREEKS - the paraphernalia of choice. Custom-embroidered Greek clothing and more. Get exclusive Beta Nu Theta sorority gear including clothes, apparel, gifts, merchandise, and accessories by stuff4GREEKS - the paraphernalia of choice. Custom-embroidered Greek clothing and more. Get exclusive Beta Omega Phi Fraternity gear including clothes, apparel, gifts, merchandise, and accessories by stuff4GREEKS - the paraphernalia of choice. Custom-embroidered Greek clothing and more. Get exclusive Beta Phi Pi Fraternity gear including clothes, apparel, gifts, merchandise, and accessories by stuff4GREEKS - the paraphernalia of choice. Custom-embroidered Greek clothing and more. Get exclusive Beta Phi Sigma sorority gear including clothes, apparel, gifts, merchandise, and accessories by stuff4GREEKS - the paraphernalia of choice. Custom-embroidered Greek clothing and more. Get exclusive Beta Psi Chi Fraternity gear including clothes, apparel, gifts, merchandise, and accessories by stuff4GREEKS - the paraphernalia of choice. Custom-embroidered Greek clothing and more. Get exclusive Beta Sigma Kappa Fraternity gear including clothes, apparel, gifts, merchandise, and accessories by stuff4GREEKS - the paraphernalia of choice. Custom-embroidered Greek clothing and more. Get exclusive Beta Sigma Phi Sorority gear including clothes, apparel, gifts, merchandise, and accessories by stuff4GREEKS - the paraphernalia of choice. Custom-embroidered Greek clothing and more. Get exclusive Beta Sigma Zeta sorority gear including clothes, apparel, gifts, merchandise, and accessories by stuff4GREEKS - the paraphernalia of choice. Custom-embroidered Greek clothing and more. Get exclusive Beta Theta Pi Fraternity gear including clothes, apparel, gifts, merchandise, and accessories by stuff4GREEKS - the paraphernalia of choice. Custom-embroidered Greek clothing and more. Get exclusive Beta Upsilon Chi Fraternity gear including clothes, apparel, gifts, merchandise, and accessories by stuff4GREEKS - the paraphernalia of choice. Custom-embroidered Greek clothing and more. Get exclusive Beta Xi Chi Fraternity gear including clothes, apparel, gifts, merchandise, and accessories by stuff4GREEKS - the paraphernalia of choice. Custom-embroidered Greek clothing and more. Get exclusive Buffalo Soldier Brotherhood gear including clothes, apparel, gifts, merchandise, and accessories by stuff4GREEKS - the paraphernalia of choice. Custom-embroidered Greek clothing and more. Get exclusive Chi Alpha Delta Fraternity gear including clothes, apparel, gifts, merchandise, and accessories by stuff4GREEKS - the paraphernalia of choice. Custom-embroidered Greek clothing and more. Get exclusive Chi Alpha Epsilon Fraternity gear including clothes, apparel, gifts, merchandise, and accessories by stuff4GREEKS - the paraphernalia of choice. Custom-embroidered Greek clothing and more. Get exclusive Chi Alpha Omega Fraternity gear including clothes, apparel, gifts, merchandise, and accessories by stuff4GREEKS - the paraphernalia of choice. Custom-embroidered Greek clothing and more. Get exclusive Chi Beta Delta sorority gear including clothes, apparel, gifts, merchandise, and accessories by stuff4GREEKS - the paraphernalia of choice. Custom-embroidered Greek clothing and more. Get exclusive Chi Delta Beta Fraternity gear including clothes, apparel, gifts, merchandise, and accessories by stuff4GREEKS - the paraphernalia of choice. Custom-embroidered Greek clothing and more. Get exclusive Chi Delta Theta sorority gear including clothes, apparel, gifts, merchandise, and accessories by stuff4GREEKS - the paraphernalia of choice. Custom-embroidered Greek clothing and more. Get exclusive Chi Eta Phi Sorority gear including clothes, apparel, gifts, merchandise, and accessories by stuff4GREEKS - the paraphernalia of choice. Custom-embroidered Greek clothing and more. Get exclusive Chi Nu Alpha sorority gear including clothes, apparel, gifts, merchandise, and accessories by stuff4GREEKS - the paraphernalia of choice. Custom-embroidered Greek clothing and more. Get exclusive Chi Omega Psi Fraternity gear including clothes, apparel, gifts, merchandise, and accessories by stuff4GREEKS - the paraphernalia of choice. Custom-embroidered Greek clothing and more. Get exclusive Chi Omega Psi sorority gear including clothes, apparel, gifts, merchandise, and accessories by stuff4GREEKS - the paraphernalia of choice. Custom-embroidered Greek clothing and more. Get exclusive Chi Omega Women's Fraternity gear including clothes, apparel, gifts, merchandise, and accessories by stuff4GREEKS - the paraphernalia of choice. Custom-embroidered Greek clothing and more. Get exclusive Chi Phi National Fraternity gear including clothes, apparel, gifts, merchandise, and accessories by stuff4GREEKS - the paraphernalia of choice. Custom-embroidered Greek clothing and more. Chi Phi Sigma 1st Caribbean Fraternity & Sorority, Inc.
Get exclusive Chi Phi Sigma gear including clothes, apparel, gifts, merchandise, and accessories by stuff4GREEKS - the paraphernalia of choice. Custom-embroidered Greek clothing and more. Get exclusive Chi Rho Gamma sorority gear including clothes, apparel, gifts, merchandise, and accessories by stuff4GREEKS - the paraphernalia of choice. Custom-embroidered Greek clothing and more. Get exclusive Chi Rho Omicron Fraternity gear including clothes, apparel, gifts, merchandise, and accessories by stuff4GREEKS - the paraphernalia of choice. Custom-embroidered Greek clothing and more. Get exclusive Chi Sigma Alpha sorority gear including clothes, apparel, gifts, merchandise, and accessories by stuff4GREEKS - the paraphernalia of choice. Custom-embroidered Greek clothing and more. Get exclusive Chi Sigma Tau Fraternity gear including clothes, apparel, gifts, merchandise, and accessories by stuff4GREEKS - the paraphernalia of choice. Custom-embroidered Greek clothing and more. Get exclusive Chi Sigma Xi sorority gear including clothes, apparel, gifts, merchandise, and accessories by stuff4GREEKS - the paraphernalia of choice. Custom-embroidered Greek clothing and more. Get exclusive Chi Upsilon Sigma Latin Sorority gear including clothes, apparel, gifts, merchandise, and accessories by stuff4GREEKS - the paraphernalia of choice. Custom-embroidered Greek clothing and more. Get exclusive Chi Upsilon Zeta Fraternity gear including clothes, apparel, gifts, merchandise, and accessories by stuff4GREEKS - the paraphernalia of choice. Custom-embroidered Greek clothing and more. Get exclusive Chi Zeta Theta Sorority gear including clothes, apparel, gifts, merchandise, and accessories by stuff4GREEKS - the paraphernalia of choice. Custom-embroidered Greek clothing and more. Get exclusive Daughters of Isis gear including clothes, apparel, gifts, merchandise, and accessories by stuff4GREEKS - the paraphernalia of choice. Custom-embroidered Greek clothing and more. Get exclusive Gamma Sigma Tau Fraternity gear including clothes, apparel, gifts, merchandise, and accessories by stuff4GREEKS - the paraphernalia of choice. Custom-embroidered Greek clothing and more. Get exclusive Delta Alpha Omega Fraternity gear including clothes, apparel, gifts, merchandise, and accessories by stuff4GREEKS - the paraphernalia of choice. Custom-embroidered Greek clothing and more. Get exclusive Delta Chi Fraternity gear including clothes, apparel, gifts, merchandise, and accessories by stuff4GREEKS - the paraphernalia of choice. Custom-embroidered Greek clothing and more. Get exclusive Delta Chi Psi Fraternity gear including clothes, apparel, gifts, merchandise, and accessories by stuff4GREEKS - the paraphernalia of choice. Custom-embroidered Greek clothing and more. Get exclusive Delta Delta Delta gear including clothes, apparel, gifts, merchandise, and accessories by stuff4GREEKS - the paraphernalia of choice. Custom-embroidered Greek clothing and more. Get exclusive Delta Gamma gear including clothes, apparel, gifts, merchandise, and accessories by stuff4GREEKS - the paraphernalia of choice. Custom-embroidered Greek clothing and more. Get exclusive Delta Gamma Pi Multicultural Sorority gear including clothes, apparel, gifts, merchandise, and accessories by stuff4GREEKS - the paraphernalia of choice. Custom-embroidered Greek clothing and more. Get exclusive Delta Kappa Alpha Fraternity gear including clothes, apparel, gifts, merchandise, and accessories by stuff4GREEKS - the paraphernalia of choice. Custom-embroidered Greek clothing and more. Get exclusive Delta Kappa Delta sorority gear including clothes, apparel, gifts, merchandise, and accessories by stuff4GREEKS - the paraphernalia of choice. Custom-embroidered Greek clothing and more. Get exclusive Delta Kappa Sigma sorority gear including clothes, apparel, gifts, merchandise, and accessories by stuff4GREEKS - the paraphernalia of choice. Custom-embroidered Greek clothing and more. Get exclusive Delta Lambda Chi Fraternity gear including clothes, apparel, gifts, merchandise, and accessories by stuff4GREEKS - the paraphernalia of choice. Custom-embroidered Greek clothing and more. Get exclusive Delta Omega Epsilon Fraternity gear including clothes, apparel, gifts, merchandise, and accessories by stuff4GREEKS - the paraphernalia of choice. Custom-embroidered Greek clothing and more. Get exclusive Delta Phi Fraternity gear including clothes, apparel, gifts, merchandise, and accessories by stuff4GREEKS - the paraphernalia of choice. Custom-embroidered Greek clothing and more. Get exclusive Delta Phi Beta Fraternity gear including clothes, apparel, gifts, merchandise, and accessories by stuff4GREEKS - the paraphernalia of choice. Custom-embroidered Greek clothing and more. Get exclusive Delta Phi Delta Dance Fraternity gear including clothes, apparel, gifts, merchandise, and accessories by stuff4GREEKS - the paraphernalia of choice. Custom-embroidered Greek clothing and more. Get exclusive Delta Phi Epsilon gear including clothes, apparel, gifts, merchandise, and accessories by stuff4GREEKS - the paraphernalia of choice. Custom-embroidered Greek clothing and more. Get exclusive Delta Phi Kappa sorority gear including clothes, apparel, gifts, merchandise, and accessories by stuff4GREEKS - the paraphernalia of choice. Custom-embroidered Greek clothing and more. Get exclusive Delta Phi Lambda sorority gear including clothes, apparel, gifts, merchandise, and accessories by stuff4GREEKS - the paraphernalia of choice. Custom-embroidered Greek clothing and more. Get exclusive Delta Phi Mu sorority gear including clothes, apparel, gifts, merchandise, and accessories by stuff4GREEKS - the paraphernalia of choice. Custom-embroidered Greek clothing and more. Get exclusive Delta Phi Omega sorority gear including clothes, apparel, gifts, merchandise, and accessories by stuff4GREEKS - the paraphernalia of choice. Custom-embroidered Greek clothing and more. Get exclusive Delta Phi Psi sorority gear including clothes, apparel, gifts, merchandise, and accessories by stuff4GREEKS - the paraphernalia of choice. Custom-embroidered Greek clothing and more. Get exclusive Delta Phi Sigma sorority gear including clothes, apparel, gifts, merchandise, and accessories by stuff4GREEKS - the paraphernalia of choice. Custom-embroidered Greek clothing and more. Get exclusive Delta Phi Zeta sorority gear including clothes, apparel, gifts, merchandise, and accessories by stuff4GREEKS - the paraphernalia of choice. Custom-embroidered Greek clothing and more. Get exclusive Delta Pi Rho Fraternity gear including clothes, apparel, gifts, merchandise, and accessories by stuff4GREEKS - the paraphernalia of choice. Custom-embroidered Greek clothing and more. Get exclusive Delta Psi Fraternity gear including clothes, apparel, gifts, merchandise, and accessories by stuff4GREEKS - the paraphernalia of choice. Custom-embroidered Greek clothing and more. Get exclusive Delta Psi Alpha Fraternity gear including clothes, apparel, gifts, merchandise, and accessories by stuff4GREEKS - the paraphernalia of choice. Custom-embroidered Greek clothing and more. Get exclusive Delta Psi Chi Fraternity gear including clothes, apparel, gifts, merchandise, and accessories by stuff4GREEKS - the paraphernalia of choice. Custom-embroidered Greek clothing and more. Get exclusive Delta Psi Epsilon gear including clothes, apparel, gifts, merchandise, and accessories by stuff4GREEKS - the paraphernalia of choice. Custom-embroidered Greek clothing and more. Delta Sigma Chi Sorority, Inc.
Get exclusive Delta Sigma Chi sorority gear including clothes, apparel, gifts, merchandise, and accessories by stuff4GREEKS - the paraphernalia of choice. Custom-embroidered Greek clothing and more. Get exclusive Delta Sigma Iota Fraternity gear including clothes, apparel, gifts, merchandise, and accessories by stuff4GREEKS - the paraphernalia of choice. Custom-embroidered Greek clothing and more. Get exclusive Delta Sigma Nu gear including clothes, apparel, gifts, merchandise, and accessories by stuff4GREEKS - the paraphernalia of choice. Custom-embroidered Greek clothing and more. Get exclusiveDelta Sigma Omega Fraternity gear including clothes, apparel, gifts, merchandise, and accessories by stuff4GREEKS - the paraphernalia of choice. Custom-embroidered Greek clothing and more. Get exclusive Delta Sigma Phi gear including clothes, apparel, gifts, merchandise, and accessories by stuff4GREEKS - the paraphernalia of choice. Custom-embroidered Greek clothing and more. Get exclusive Delta gear including clothes, apparel, gifts, merchandise, and accessories by stuff4GREEKS - the paraphernalia of choice. Custom-embroidered Greek clothing and more. Get exclusive Delta Tau Delta Fraternity gear including clothes, apparel, gifts, merchandise, and accessories by stuff4GREEKS - the paraphernalia of choice. Custom-embroidered Greek clothing and more. Get exclusive Delta Tau Lambda sorority gear including clothes, apparel, gifts, merchandise, and accessories by stuff4GREEKS - the paraphernalia of choice. Custom-embroidered Greek clothing and more. Get exclusive Delta Tau Sigma sorority gear including clothes, apparel, gifts, merchandise, and accessories by stuff4GREEKS - the paraphernalia of choice. Custom-embroidered Greek clothing and more. Get exclusive Delta Theta Chi sorority gear including clothes, apparel, gifts, merchandise, and accessories by stuff4GREEKS - the paraphernalia of choice. Custom-embroidered Greek clothing and more. Get exclusive Delta Theta Psi sorority gear including clothes, apparel, gifts, merchandise, and accessories by stuff4GREEKS - the paraphernalia of choice. Custom-embroidered Greek clothing and more. Get exclusive Delta Upsilon Fraternity gear including clothes, apparel, gifts, merchandise, and accessories by stuff4GREEKS - the paraphernalia of choice. Custom-embroidered Greek clothing and more. Get exclusive Delta Xi Nu Multicultural Sorority gear including clothes, apparel, gifts, merchandise, and accessories by stuff4GREEKS - the paraphernalia of choice. Custom-embroidered Greek clothing and more. Get exclusive Delta Xi Phi sorority gear including clothes, apparel, gifts, merchandise, and accessories by stuff4GREEKS - the paraphernalia of choice. Custom-embroidered Greek clothing and more. Get exclusive Delta Zeta Sorority gear including clothes, apparel, gifts, merchandise, and accessories by stuff4GREEKS - the paraphernalia of choice. Custom-embroidered Greek clothing and more. Get exclusive Elogeme Adolphi Chrisitan Sorority gear including clothes, apparel, gifts, merchandise, and accessories by stuff4GREEKS - the paraphernalia of choice. Custom-embroidered Greek clothing and more. Get exclusive Epsilon Alpha Sigma sorority gear including clothes, apparel, gifts, merchandise, and accessories by stuff4GREEKS - the paraphernalia of choice. Custom-embroidered Greek clothing and more. Get exclusive Epsilon Chi Nu Fraternity gear including clothes, apparel, gifts, merchandise, and accessories by stuff4GREEKS - the paraphernalia of choice. Custom-embroidered Greek clothing and more. Get exclusive Epsilon Gamma Iota Inc. gear including clothes, apparel, gifts, merchandise, and accessories by stuff4GREEKS - the paraphernalia of choice. Custom-embroidered Greek clothing and more. Get exclusive Epsilon Lambda Kappa Fraternity gear including clothes, apparel, gifts, merchandise, and accessories by stuff4GREEKS - the paraphernalia of choice. Custom-embroidered Greek clothing and more. Get exclusive Epsilon Sigma Alpha International gear including clothes, apparel, gifts, merchandise, and accessories by stuff4GREEKS - the paraphernalia of choice. Custom-embroidered Greek clothing and more. Get exclusive Epsilon Sigma Phi Sorority gear including clothes, apparel, gifts, merchandise, and accessories by stuff4GREEKS - the paraphernalia of choice. Custom-embroidered Greek clothing and more. Get exclusive Epsilon Sigma Pi Organization gear including clothes, apparel, gifts, merchandise, and accessories by stuff4GREEKS - the paraphernalia of choice. Custom-embroidered Greek clothing and more. Get exclusive Epsilon Sigma Rho gear including clothes, apparel, gifts, merchandise, and accessories by stuff4GREEKS - the paraphernalia of choice. Custom-embroidered Greek clothing and more. Get exclusive Epsilon Theta Beta sorority gear including clothes, apparel, gifts, merchandise, and accessories by stuff4GREEKS - the paraphernalia of choice. Custom-embroidered Greek clothing and more. Get exclusive Eta Gamma Pi sorority gear including clothes, apparel, gifts, merchandise, and accessories by stuff4GREEKS - the paraphernalia of choice. Custom-embroidered Greek clothing and more. Get exclusive Eta Iota Sigma sorority gear including clothes, apparel, gifts, merchandise, and accessories by stuff4GREEKS - the paraphernalia of choice. Custom-embroidered Greek clothing and more. Get exclusive FarmHouse Fraternity gear including clothes, apparel, gifts, merchandise, and accessories by stuff4GREEKS - the paraphernalia of choice. Custom-embroidered Greek clothing and more. Get exclusive Gamma Alpha Omega Sorority gear including clothes, apparel, gifts, merchandise, and accessories by stuff4GREEKS - the paraphernalia of choice. Custom-embroidered Greek clothing and more. Get exclusive Kappa Alpha Pi Fraternity gear including clothes, apparel, gifts, merchandise, and accessories by stuff4GREEKS - the paraphernalia of choice. Custom-embroidered Greek clothing and more. Get exclusive Gamma Beta Chi Fraternity gear including clothes, apparel, gifts, merchandise, and accessories by stuff4GREEKS - the paraphernalia of choice. Custom-embroidered Greek clothing and more. Get exclusive Gamma Beta Delta sorority gear including clothes, apparel, gifts, merchandise, and accessories by stuff4GREEKS - the paraphernalia of choice. Custom-embroidered Greek clothing and more. Gamma Beta National Fraternity, Inc.
Get exclusive Gamma Beta Fraternity gear including clothes, apparel, gifts, merchandise, and accessories by stuff4GREEKS - the paraphernalia of choice. Custom-embroidered Greek clothing and more. Gamma Delta Iota Fraternity, Inc.
Get exclusive Gamma Delta Iota Fraternity gear including clothes, apparel, gifts, merchandise, and accessories by stuff4GREEKS - the paraphernalia of choice. Custom-embroidered Greek clothing and more. Gamma Epsilon Chi Sorority, Inc.
Get exclusive Gamma Epsilon Chi sorority gear including clothes, apparel, gifts, merchandise, and accessories by stuff4GREEKS - the paraphernalia of choice. Custom-embroidered Greek clothing and more. Get exclusive Gamma Epsilon Mu Fraternity gear including clothes, apparel, gifts, merchandise, and accessories by stuff4GREEKS - the paraphernalia of choice. Custom-embroidered Greek clothing and more. Get exclusive Gamma Epsilon Omega Fraternity gear including clothes, apparel, gifts, merchandise, and accessories by stuff4GREEKS - the paraphernalia of choice. Custom-embroidered Greek clothing and more. Get exclusive Gamma Eta sorority gear including clothes, apparel, gifts, merchandise, and accessories by stuff4GREEKS - the paraphernalia of choice. Custom-embroidered Greek clothing and more. Gamma Gamma Chi Sorority, Inc.
Get exclusive Gamma Gamma Chi Sorority gear including clothes, apparel, gifts, merchandise, and accessories by stuff4GREEKS - the paraphernalia of choice. Custom-embroidered Greek clothing and more. Get exclusive Gamma Kappa Phi Fraternity gear including clothes, apparel, gifts, merchandise, and accessories by stuff4GREEKS - the paraphernalia of choice. Custom-embroidered Greek clothing and more. Get exclusive Gamma Lambda Sigma Fraternity gear including clothes, apparel, gifts, merchandise, and accessories by stuff4GREEKS - the paraphernalia of choice. Custom-embroidered Greek clothing and more. Get exclusive Gamma Nu Delta sorority gear including clothes, apparel, gifts, merchandise, and accessories by stuff4GREEKS - the paraphernalia of choice. Custom-embroidered Greek clothing and more. Get exclusive Gamma Omega Delta Fraternity gear including clothes, apparel, gifts, merchandise, and accessories by stuff4GREEKS - the paraphernalia of choice. Custom-embroidered Greek clothing and more. Get exclusive Gamma Phi Delta Christian Fraternity gear including clothes, apparel, gifts, merchandise, and accessories by stuff4GREEKS - the paraphernalia of choice. Custom-embroidered Greek clothing and more. Get exclusive Gamma Phi Delta Sorority gear including clothes, apparel, gifts, merchandise, and accessories by stuff4GREEKS - the paraphernalia of choice. Custom-embroidered Greek clothing and more. Get exclusive Gamma Phi Epsilon Fraternity gear including clothes, apparel, gifts, merchandise, and accessories by stuff4GREEKS - the paraphernalia of choice. Custom-embroidered Greek clothing and more. Get exclusive Gamma Phi Omega Fraternity gear including clothes, apparel, gifts, merchandise, and accessories by stuff4GREEKS - the paraphernalia of choice. Custom-embroidered Greek clothing and more. Get exclusive Gamma Phi Omega Sorority gear including clothes, apparel, gifts, merchandise, and accessories by stuff4GREEKS - the paraphernalia of choice. Custom-embroidered Greek clothing and more. Get exclusive Gamma Phi Sigma Fraternity gear including clothes, apparel, gifts, merchandise, and accessories by stuff4GREEKS - the paraphernalia of choice. Custom-embroidered Greek clothing and more. Get exclusive Gamma Pi sorority gear including clothes, apparel, gifts, merchandise, and accessories by stuff4GREEKS - the paraphernalia of choice. Custom-embroidered Greek clothing and more. Get exclusive Gamma Pi Sigma Fraternity gear including clothes, apparel, gifts, merchandise, and accessories by stuff4GREEKS - the paraphernalia of choice. Custom-embroidered Greek clothing and more. Get exclusive Gamma Psi Epsilon Fraternity gear including clothes, apparel, gifts, merchandise, and accessories by stuff4GREEKS - the paraphernalia of choice. Custom-embroidered Greek clothing and more. Get exclusive Gamma Psi Gamma Fraternity gear including clothes, apparel, gifts, merchandise, and accessories by stuff4GREEKS - the paraphernalia of choice. Custom-embroidered Greek clothing and more. Get exclusive Gamma Rho Lambda sorority gear including clothes, apparel, gifts, merchandise, and accessories by stuff4GREEKS - the paraphernalia of choice. Custom-embroidered Greek clothing and more. Get exclusive Gamma Sigma Omega Fraternity gear including clothes, apparel, gifts, merchandise, and accessories by stuff4GREEKS - the paraphernalia of choice. Custom-embroidered Greek clothing and more. Get exclusive Gamma Sigma Sigma sorority gear including clothes, apparel, gifts, merchandise, and accessories by stuff4GREEKS - the paraphernalia of choice. Custom-embroidered Greek clothing and more. Get exclusive Gamma Xi Phi Fraternity gear including clothes, apparel, gifts, merchandise, and accessories by stuff4GREEKS - the paraphernalia of choice. Custom-embroidered Greek clothing and more. Get exclusive Gamma Zeta Alpha Fraternity gear including clothes, apparel, gifts, merchandise, and accessories by stuff4GREEKS - the paraphernalia of choice. Custom-embroidered Greek clothing and more. Get exclusive Gamma Zeta Rho Fraternity gear including clothes, apparel, gifts, merchandise, and accessories by stuff4GREEKS - the paraphernalia of choice. Custom-embroidered Greek clothing and more. Get exclusive Groove Phi Groove Fraternity gear including clothes, apparel, gifts, merchandise, and accessories by stuff4GREEKS - the paraphernalia of choice. Custom-embroidered Greek clothing and more. Get exclusive Iota Alpha Omega Christian Fraternity gear including clothes, apparel, gifts, merchandise, and accessories by stuff4GREEKS - the paraphernalia of choice. Custom-embroidered Greek clothing and more. Get exclusive Iota Chi Kappa sorority gear including clothes, apparel, gifts, merchandise, and accessories by stuff4GREEKS - the paraphernalia of choice. Custom-embroidered Greek clothing and more. Get exclusive Iota Gamma Upsilon sorority gear including clothes, apparel, gifts, merchandise, and accessories by stuff4GREEKS - the paraphernalia of choice. Custom-embroidered Greek clothing and more. Get exclusive Iota Lambda Pi Fraternity gear including clothes, apparel, gifts, merchandise, and accessories by stuff4GREEKS - the paraphernalia of choice. Custom-embroidered Greek clothing and more. Get exclusive Iota Nu Delta Fraternity gear including clothes, apparel, gifts, merchandise, and accessories by stuff4GREEKS - the paraphernalia of choice. Custom-embroidered Greek clothing and more. Get exclusive Iota Nu Kappa Fraternity gear including clothes, apparel, gifts, merchandise, and accessories by stuff4GREEKS - the paraphernalia of choice. Custom-embroidered Greek clothing and more. Get exclusive Iota Phi Theta Fraternity gear including clothes, apparel, gifts, merchandise, and accessories by stuff4GREEKS - the paraphernalia of choice. Custom-embroidered Greek clothing and more. Get exclusive Iota Sweetheart gear including clothes, apparel, gifts, merchandise, and accessories by stuff4GREEKS - the paraphernalia of choice. Custom-embroidered Greek clothing and more. Get exclusive Jack and Jill gear including clothes, apparel, gifts, merchandise, and accessories by stuff4GREEKS - the paraphernalia of choice. Custom-embroidered Greek clothing and more. Get exclusive Kappa Alpha Lambda sorority gear including clothes, apparel, gifts, merchandise, and accessories by stuff4GREEKS - the paraphernalia of choice. Custom-embroidered Greek clothing and more. Get exclusive Kappa Alpha Order gear including clothes, apparel, gifts, merchandise, and accessories by stuff4GREEKS - the paraphernalia of choice. Custom-embroidered Greek clothing and more. Get exclusive Kappa Alpha Pi sorority gear including clothes, apparel, gifts, merchandise, and accessories by stuff4GREEKS - the paraphernalia of choice. Custom-embroidered Greek clothing and more. Get exclusive Kappa Alpha Psi Fraternity gear including clothes, apparel, gifts, merchandise, and accessories by stuff4GREEKS - the paraphernalia of choice. Custom-embroidered Greek clothing and more. Get exclusive Kappa Alpha Theta gear including clothes, apparel, gifts, merchandise, and accessories by stuff4GREEKS - the paraphernalia of choice. Custom-embroidered Greek clothing and more. Get exclusive Kappa Chi Phi Fraternity gear including clothes, apparel, gifts, merchandise, and accessories by stuff4GREEKS - the paraphernalia of choice. Custom-embroidered Greek clothing and more. Get exclusive Kappa Delta Phi Fraternity gear including clothes, apparel, gifts, merchandise, and accessories by stuff4GREEKS - the paraphernalia of choice. Custom-embroidered Greek clothing and more. Get exclusive Kappa Delta Pi Honor Society gear including clothes, apparel, gifts, merchandise, and accessories by stuff4GREEKS - the paraphernalia of choice. Custom-embroidered Greek clothing and more. Get exclusive Kappa Delta Rho Fraternity gear including clothes, apparel, gifts, merchandise, and accessories by stuff4GREEKS - the paraphernalia of choice. Custom-embroidered Greek clothing and more. Get exclusive Kappa Delta Sorority gear including clothes, apparel, gifts, merchandise, and accessories by stuff4GREEKS - the paraphernalia of choice. Custom-embroidered Greek clothing and more. Get exclusive Kappa Epsilon Fraternity gear including clothes, apparel, gifts, merchandise, and accessories by stuff4GREEKS - the paraphernalia of choice. Custom-embroidered Greek clothing and more. Get exclusive Kappa Eta Kappa Fraternity gear including clothes, apparel, gifts, merchandise, and accessories by stuff4GREEKS - the paraphernalia of choice. Custom-embroidered Greek clothing and more. Get exclusive Kappa Gamma Delta sorority gear including clothes, apparel, gifts, merchandise, and accessories by stuff4GREEKS - the paraphernalia of choice. Custom-embroidered Greek clothing and more. Get exclusive Kappa Kappa Gamma gear including clothes, apparel, gifts, merchandise, and accessories by stuff4GREEKS - the paraphernalia of choice. Custom-embroidered Greek clothing and more. Get exclusive Kappa Kappa Psi Fraternity gear including clothes, apparel, gifts, merchandise, and accessories by stuff4GREEKS - the paraphernalia of choice. Custom-embroidered Greek clothing and more. Get exclusive Kappa Lambda Chi Fraternity gear including clothes, apparel, gifts, merchandise, and accessories by stuff4GREEKS - the paraphernalia of choice. Custom-embroidered Greek clothing and more. Get exclusive Kappa Lambda Delta sorority gear including clothes, apparel, gifts, merchandise, and accessories by stuff4GREEKS - the paraphernalia of choice. Custom-embroidered Greek clothing and more. Get exclusive Kappa Lambda Phi gear including clothes, apparel, gifts, merchandise, and accessories by stuff4GREEKS - the paraphernalia of choice. Custom-embroidered Greek clothing and more. Get exclusive Kappa Lambda Xi sorority gear including clothes, apparel, gifts, merchandise, and accessories by stuff4GREEKS - the paraphernalia of choice. Custom-embroidered Greek clothing and more. Get exclusive Kappa Omega Xi Fraternity gear including clothes, apparel, gifts, merchandise, and accessories by stuff4GREEKS - the paraphernalia of choice. Custom-embroidered Greek clothing and more. Get exclusive Kappa Phi sorority gear including clothes, apparel, gifts, merchandise, and accessories by stuff4GREEKS - the paraphernalia of choice. Custom-embroidered Greek clothing and more. Get exclusive Kappa Phi Gamma sorority gear including clothes, apparel, gifts, merchandise, and accessories by stuff4GREEKS - the paraphernalia of choice. Custom-embroidered Greek clothing and more. Get exclusive Kappa Phi Lambda sorority gear including clothes, apparel, gifts, merchandise, and accessories by stuff4GREEKS - the paraphernalia of choice. Custom-embroidered Greek clothing and more. Get exclusive Kappa Pi Beta Fraternity gear including clothes, apparel, gifts, merchandise, and accessories by stuff4GREEKS - the paraphernalia of choice. Custom-embroidered Greek clothing and more. Get exclusive Kappa Psi Fraternity gear including clothes, apparel, gifts, merchandise, and accessories by stuff4GREEKS - the paraphernalia of choice. Custom-embroidered Greek clothing and more. Get exclusive Kappa Psi Epsilon sorority gear including clothes, apparel, gifts, merchandise, and accessories by stuff4GREEKS - the paraphernalia of choice. Custom-embroidered Greek clothing and more. Kappa Psi Kappa Fraternity, Inc.
Get exclusive Kappa Psi Kappa Fraternity gear including clothes, apparel, gifts, merchandise, and accessories by stuff4GREEKS - the paraphernalia of choice. Custom-embroidered Greek clothing and more. Kappa Psi Omega Fraternity, Inc.
Get exclusive Kappa Psi Omega Fraternity gear including clothes, apparel, gifts, merchandise, and accessories by stuff4GREEKS - the paraphernalia of choice. Custom-embroidered Greek clothing and more. Get exclusive Kappa Sigma gear including clothes, apparel, gifts, merchandise, and accessories by stuff4GREEKS - the paraphernalia of choice. Custom-embroidered Greek clothing and more. Get exclusive Kappa Sigma Alpha sorority gear including clothes, apparel, gifts, merchandise, and accessories by stuff4GREEKS - the paraphernalia of choice. Custom-embroidered Greek clothing and more. Get exclusive Kappa Sigma Epsilon Fraternity gear including clothes, apparel, gifts, merchandise, and accessories by stuff4GREEKS - the paraphernalia of choice. Custom-embroidered Greek clothing and more. Get exclusive Kappa Sigma Pi gear including clothes, apparel, gifts, merchandise, and accessories by stuff4GREEKS - the paraphernalia of choice. Custom-embroidered Greek clothing and more. Get exclusive Kappa Sigma Upsilon Fraternity gear including clothes, apparel, gifts, merchandise, and accessories by stuff4GREEKS - the paraphernalia of choice. Custom-embroidered Greek clothing and more. Get exclusive Kappa Upsilon Chi Fraternity gear including clothes, apparel, gifts, merchandise, and accessories by stuff4GREEKS - the paraphernalia of choice. Custom-embroidered Greek clothing and more. Get exclusive Kappa Xi Omega sorority gear including clothes, apparel, gifts, merchandise, and accessories by stuff4GREEKS - the paraphernalia of choice. Custom-embroidered Greek clothing and more. Get exclusive Kappa Zeta Phi sorority gear including clothes, apparel, gifts, merchandise, and accessories by stuff4GREEKS - the paraphernalia of choice. Custom-embroidered Greek clothing and more. Get exclusive Knights Fraternity, Inc. International Fraternity gear including clothes, apparel, gifts, merchandise, and accessories by stuff4GREEKS - the paraphernalia of choice. Custom-embroidered Greek clothing and more. Get exclusive Knights Templar gear including clothes, apparel, gifts, merchandise, and accessories by stuff4GREEKS - the paraphernalia of choice. Custom-embroidered Greek clothing and more. Get exclusive Lambda Alpha Upsilon Fraternity gear including clothes, apparel, gifts, merchandise, and accessories by stuff4GREEKS - the paraphernalia of choice. Custom-embroidered Greek clothing and more. Get exclusive Lambda Beta Chi sorority gear including clothes, apparel, gifts, merchandise, and accessories by stuff4GREEKS - the paraphernalia of choice. Custom-embroidered Greek clothing and more. Get exclusive Lambda Chi Alpha Fraternity gear including clothes, apparel, gifts, merchandise, and accessories by stuff4GREEKS - the paraphernalia of choice. Custom-embroidered Greek clothing and more. Get exclusive Lambda Delta Psi sorority gear including clothes, apparel, gifts, merchandise, and accessories by stuff4GREEKS - the paraphernalia of choice. Custom-embroidered Greek clothing and more. Get exclusive Lambda Iota Upsilon Fraternity gear including clothes, apparel, gifts, merchandise, and accessories by stuff4GREEKS - the paraphernalia of choice. Custom-embroidered Greek clothing and more. Get exclusive Lambda Nu Psi Fraternity gear including clothes, apparel, gifts, merchandise, and accessories by stuff4GREEKS - the paraphernalia of choice. Custom-embroidered Greek clothing and more. Get exclusive Lambda Omicron Chi sorority gear including clothes, apparel, gifts, merchandise, and accessories by stuff4GREEKS - the paraphernalia of choice. Custom-embroidered Greek clothing and more. Get exclusive Lambda Omicron Delta Fraternity Fraternity gear including clothes, apparel, gifts, merchandise, and accessories by stuff4GREEKS - the paraphernalia of choice. Custom-embroidered Greek clothing and more. Get exclusive Lambda Omicron Delta Sorority sorority gear including clothes, apparel, gifts, merchandise, and accessories by stuff4GREEKS - the paraphernalia of choice. Custom-embroidered Greek clothing and more. Get exclusive Lambda Phi Delta sorority gear including clothes, apparel, gifts, merchandise, and accessories by stuff4GREEKS - the paraphernalia of choice. Custom-embroidered Greek clothing and more. Lambda Phi Epsilon National Fraternity, Inc.
Get exclusive Lambda Phi Xi Mutlicultrual Sorority gear including clothes, apparel, gifts, merchandise, and accessories by stuff4GREEKS - the paraphernalia of choice. Custom-embroidered Greek clothing and more. Get exclusive Lambda Pi Chi Sorority gear including clothes, apparel, gifts, merchandise, and accessories by stuff4GREEKS - the paraphernalia of choice. Custom-embroidered Greek clothing and more. Get exclusive Lambda Pi Gamma Fraternity gear including clothes, apparel, gifts, merchandise, and accessories by stuff4GREEKS - the paraphernalia of choice. Custom-embroidered Greek clothing and more. Get exclusive Lambda Psi Delta sorority gear including clothes, apparel, gifts, merchandise, and accessories by stuff4GREEKS - the paraphernalia of choice. Custom-embroidered Greek clothing and more. Get exclusive Lambda Psi Rho Fraternity gear including clothes, apparel, gifts, merchandise, and accessories by stuff4GREEKS - the paraphernalia of choice. Custom-embroidered Greek clothing and more. Lambda Sigma Gamma Sorority, Inc.
Get exclusive Lambda Sigma Gamma Sorority gear including clothes, apparel, gifts, merchandise, and accessories by stuff4GREEKS - the paraphernalia of choice. Custom-embroidered Greek clothing and more. Get exclusive Lambda Sigma Pi sorority gear including clothes, apparel, gifts, merchandise, and accessories by stuff4GREEKS - the paraphernalia of choice. Custom-embroidered Greek clothing and more. Get exclusive Lambda Sigma Upsilon Latino Fraternity gear including clothes, apparel, gifts, merchandise, and accessories by stuff4GREEKS - the paraphernalia of choice. Custom-embroidered Greek clothing and more. Get exclusive Lambda Tau Delta sorority gear including clothes, apparel, gifts, merchandise, and accessories by stuff4GREEKS - the paraphernalia of choice. Custom-embroidered Greek clothing and more. Get exclusive Lambda Theta Nu sorority gear including clothes, apparel, gifts, merchandise, and accessories by stuff4GREEKS - the paraphernalia of choice. Custom-embroidered Greek clothing and more. Get exclusive Lambda Tau Upsilon sorority gear including clothes, apparel, gifts, merchandise, and accessories by stuff4GREEKS - the paraphernalia of choice. Custom-embroidered Greek clothing and more. Lambda Tau Upsilon Christian Sorority, Inc.
Get exclusive Lambda Tau Upsilon Chrisitan Sorority gear including clothes, apparel, gifts, merchandise, and accessories by stuff4GREEKS - the paraphernalia of choice. Custom-embroidered Greek clothing and more. Get exclusive Lambda Theta Alpha Latin Sorority gear including clothes, apparel, gifts, merchandise, and accessories by stuff4GREEKS - the paraphernalia of choice. Custom-embroidered Greek clothing and more. Get exclusiveLambda Theta Delta Fraternity gear including clothes, apparel, gifts, merchandise, and accessories by stuff4GREEKS - the paraphernalia of choice. Custom-embroidered Greek clothing and more. Get exclusive Lambda Theta Phi Latin Fraternity gear including clothes, apparel, gifts, merchandise, and accessories by stuff4GREEKS - the paraphernalia of choice. Custom-embroidered Greek clothing and more. Get exclusive Lambda Upsilon Lambda Fraternity gear including clothes, apparel, gifts, merchandise, and accessories by stuff4GREEKS - the paraphernalia of choice. Custom-embroidered Greek clothing and more. Get exclusiveMalik Fraternity gear including clothes, apparel, gifts, merchandise, and accessories by stuff4GREEKS - the paraphernalia of choice. Custom-embroidered Greek clothing and more. Get exclusive Masonic gear including clothes, apparel, gifts, merchandise, and accessories by stuff4GREEKS - the paraphernalia of choice. Custom-embroidered Greek clothing and more. Get exclusive Men Of D.I.S.T.I.N.C. Fraternity gear including clothes, apparel, gifts, merchandise, and accessories by stuff4GREEKS - the paraphernalia of choice. Custom-embroidered Greek clothing and more. Get exclusive Mu Epsilon Delta Fraternity gear including clothes, apparel, gifts, merchandise, and accessories by stuff4GREEKS - the paraphernalia of choice. Custom-embroidered Greek clothing and more. Get exclusive Mu Iota Upsilon sorority gear including clothes, apparel, gifts, merchandise, and accessories by stuff4GREEKS - the paraphernalia of choice. Custom-embroidered Greek clothing and more. Get exclusive Mu Omicron Delta Fraternity gear including clothes, apparel, gifts, merchandise, and accessories by stuff4GREEKS - the paraphernalia of choice. Custom-embroidered Greek clothing and more. Get exclusive Mu Omicron Gamma Fraternity gear including clothes, apparel, gifts, merchandise, and accessories by stuff4GREEKS - the paraphernalia of choice. Custom-embroidered Greek clothing and more. Get exclusive Mu Phi Sigma Fraternity gear including clothes, apparel, gifts, merchandise, and accessories by stuff4GREEKS - the paraphernalia of choice. Custom-embroidered Greek clothing and more. Get exclusive Mu Sigma Nu Fraternity gear including clothes, apparel, gifts, merchandise, and accessories by stuff4GREEKS - the paraphernalia of choice. Custom-embroidered Greek clothing and more. Get exclusive Mu Sigma Upsilon Sorority gear including clothes, apparel, gifts, merchandise, and accessories by stuff4GREEKS - the paraphernalia of choice. Custom-embroidered Greek clothing and more. Get exclusive Nu Alpha Kappa Fraternity gear including clothes, apparel, gifts, merchandise, and accessories by stuff4GREEKS - the paraphernalia of choice. Custom-embroidered Greek clothing and more. Get exclusive Nu Alpha Phi Fraternity gear including clothes, apparel, gifts, merchandise, and accessories by stuff4GREEKS - the paraphernalia of choice. Custom-embroidered Greek clothing and more. Get exclusive Nu Gamma Alpha Gents, LTD gear including clothes, apparel, gifts, merchandise, and accessories by stuff4GREEKS - the paraphernalia of choice. Custom-embroidered Greek clothing and more. Get exclusive Nu Gamma Psi Fraternity gear including clothes, apparel, gifts, merchandise, and accessories by stuff4GREEKS - the paraphernalia of choice. Custom-embroidered Greek clothing and more. Get exclusive Nu Omega Psi Sorority gear including clothes, apparel, gifts, merchandise, and accessories by stuff4GREEKS - the paraphernalia of choice. Custom-embroidered Greek clothing and more. Nu Phi Psi Fraternity, Inc.
Get exclusive Nu Phi Psi Fraternity gear including clothes, apparel, gifts, merchandise, and accessories by stuff4GREEKS - the paraphernalia of choice. Custom-embroidered Greek clothing and more. Get exclusive Nu Phi Zeta Fraternity gear including clothes, apparel, gifts, merchandise, and accessories by stuff4GREEKS - the paraphernalia of choice. Custom-embroidered Greek clothing and more. Get exclusive Nu Rho Sigma Fraternity gear including clothes, apparel, gifts, merchandise, and accessories by stuff4GREEKS - the paraphernalia of choice. Custom-embroidered Greek clothing and more. Nu Tau Beta Fraternity, Inc.
Get exclusive Nu Zeta Epsilon Fraternity gear including clothes, apparel, gifts, merchandise, and accessories by stuff4GREEKS - the paraphernalia of choice. Custom-embroidered Greek clothing and more. Get exclusive Nu Zeta Phi sorority gear including clothes, apparel, gifts, merchandise, and accessories by stuff4GREEKS - the paraphernalia of choice. Custom-embroidered Greek clothing and more. Get exclusive Omega Beta Psi Fraternity gear including clothes, apparel, gifts, merchandise, and accessories by stuff4GREEKS - the paraphernalia of choice. Custom-embroidered Greek clothing and more. Get exclusive Omega Delta Fraternity gear including clothes, apparel, gifts, merchandise, and accessories by stuff4GREEKS - the paraphernalia of choice. Custom-embroidered Greek clothing and more. Get exclusive Omega Delta Gamma Christian Service Sorority gear including clothes, apparel, gifts, merchandise, and accessories by stuff4GREEKS - the paraphernalia of choice. Custom-embroidered Greek clothing and more. Get exclusive Omega Delta Phi Fraternity gear including clothes, apparel, gifts, merchandise, and accessories by stuff4GREEKS - the paraphernalia of choice. Custom-embroidered Greek clothing and more. Get exclusive Omega Pearl gear including clothes, apparel, gifts, merchandise, and accessories by stuff4GREEKS - the paraphernalia of choice. Custom-embroidered Greek clothing and more. Get exclusive Omega Phi gear including clothes, apparel, gifts, merchandise, and accessories by stuff4GREEKS - the paraphernalia of choice. Custom-embroidered Greek clothing and more. Get exclusive Omega Phi Alpha gear including clothes, apparel, gifts, merchandise, and accessories by stuff4GREEKS - the paraphernalia of choice. Custom-embroidered Greek clothing and more. Get exclusive Omega Phi Beta sorority gear including clothes, apparel, gifts, merchandise, and accessories by stuff4GREEKS - the paraphernalia of choice. Custom-embroidered Greek clothing and more. Get exclusive Omega Phi Chi sorority gear including clothes, apparel, gifts, merchandise, and accessories by stuff4GREEKS - the paraphernalia of choice. Custom-embroidered Greek clothing and more. Get exclusive Omega Phi Kappa Fraternity gear including clothes, apparel, gifts, merchandise, and accessories by stuff4GREEKS - the paraphernalia of choice. Custom-embroidered Greek clothing and more. Get exclusive Omega Psi Phi Fraternity gear including clothes, apparel, gifts, merchandise, and accessories by stuff4GREEKS - the paraphernalia of choice. Custom-embroidered Greek clothing and more. Get exclusive Omega Psi Rho Fraternity gear including clothes, apparel, gifts, merchandise, and accessories by stuff4GREEKS - the paraphernalia of choice. Custom-embroidered Greek clothing and more. Get exclusive Omega Sigma Tau Fraternity gear including clothes, apparel, gifts, merchandise, and accessories by stuff4GREEKS - the paraphernalia of choice. Custom-embroidered Greek clothing and more. Get exclusive Omega Tau Pi sorority gear including clothes, apparel, gifts, merchandise, and accessories by stuff4GREEKS - the paraphernalia of choice. Custom-embroidered Greek clothing and more. Get exclusive Omicron Delta Kappa Society gear including clothes, apparel, gifts, merchandise, and accessories by stuff4GREEKS - the paraphernalia of choice. Custom-embroidered Greek clothing and more. Get exclusive Omicron Epsilon Pi gear including clothes, apparel, gifts, merchandise, and accessories by stuff4GREEKS - the paraphernalia of choice. Custom-embroidered Greek clothing and more. Get exclusive Omicron Phi Omega gear including clothes, apparel, gifts, merchandise, and accessories by stuff4GREEKS - the paraphernalia of choice. Custom-embroidered Greek clothing and more. Get exclusive Order of the Eastern Star gear including clothes, apparel, gifts, merchandise, and accessories by stuff4GREEKS - the paraphernalia of choice. Custom-embroidered Greek clothing and more. Get exclusive Pershing Angels gear including clothes, apparel, gifts, merchandise, and accessories by stuff4GREEKS - the paraphernalia of choice. Custom-embroidered Greek clothing and more. Get exclusive Pershing-Rifles gear including clothes, apparel, gifts, merchandise, and accessories by stuff4GREEKS - the paraphernalia of choice. Custom-embroidered Greek clothing and more. Get exclusive Phi Alpha Delta Fraternity gear including clothes, apparel, gifts, merchandise, and accessories by stuff4GREEKS - the paraphernalia of choice. Custom-embroidered Greek clothing and more. Phi Alpha Nu Fraternity, Inc.
Get exclusive Phi Alpha Nu Fraternity gear including clothes, apparel, gifts, merchandise, and accessories by stuff4GREEKS - the paraphernalia of choice. Custom-embroidered Greek clothing and more. Get exclusive Phi Alpha Omicron sorority gear including clothes, apparel, gifts, merchandise, and accessories by stuff4GREEKS - the paraphernalia of choice. Custom-embroidered Greek clothing and more. Get exclusivePhi Alpha Sigma gear including clothes, apparel, gifts, merchandise, and accessories by stuff4GREEKS - the paraphernalia of choice. Custom-embroidered Greek clothing and more. Get exclusive Phi Alpha Theta Society gear including clothes, apparel, gifts, merchandise, and accessories by stuff4GREEKS - the paraphernalia of choice. Custom-embroidered Greek clothing and more. Get exclusive Phi Beta Chi sorority gear including clothes, apparel, gifts, merchandise, and accessories by stuff4GREEKS - the paraphernalia of choice. Custom-embroidered Greek clothing and more. Get exclusive Phi Beta Epsilon Fraternity gear including clothes, apparel, gifts, merchandise, and accessories by stuff4GREEKS - the paraphernalia of choice. Custom-embroidered Greek clothing and more. Get exclusive Phi Beta Epsilon High School Fraternity gear including clothes, apparel, gifts, merchandise, and accessories by stuff4GREEKS - the paraphernalia of choice. Custom-embroidered Greek clothing and more. Get exclusive Phi Beta Lambda Society gear including clothes, apparel, gifts, merchandise, and accessories by stuff4GREEKS - the paraphernalia of choice. Custom-embroidered Greek clothing and more. Get exclusive Phi Beta Pi Fraternity gear including clothes, apparel, gifts, merchandise, and accessories by stuff4GREEKS - the paraphernalia of choice. Custom-embroidered Greek clothing and more. Get exclusive Phi Beta Sigma Fraternity gear including clothes, apparel, gifts, merchandise, and accessories by stuff4GREEKS - the paraphernalia of choice. Custom-embroidered Greek clothing and more. Get exclusive Phi Chi Epsilon Fraternity gear including clothes, apparel, gifts, merchandise, and accessories by stuff4GREEKS - the paraphernalia of choice. Custom-embroidered Greek clothing and more. Phi Chi Epsilon Fraternity, Inc.
Get exclusive Phi Chi Theta Fraternity gear including clothes, apparel, gifts, merchandise, and accessories by stuff4GREEKS - the paraphernalia of choice. Custom-embroidered Greek clothing and more. Get exclusive Phi Delta Chi Fraternity gear including clothes, apparel, gifts, merchandise, and accessories by stuff4GREEKS - the paraphernalia of choice. Custom-embroidered Greek clothing and more. Get exclusive Phi Delta Epsilon Fraternity gear including clothes, apparel, gifts, merchandise, and accessories by stuff4GREEKS - the paraphernalia of choice. Custom-embroidered Greek clothing and more. Get exclusive Phi Delta Kappa sorority gear including clothes, apparel, gifts, merchandise, and accessories by stuff4GREEKS - the paraphernalia of choice. Custom-embroidered Greek clothing and more. Get exclusive Phi Delta Psi Fraternity gear including clothes, apparel, gifts, merchandise, and accessories by stuff4GREEKS - the paraphernalia of choice. Custom-embroidered Greek clothing and more. Get exclusive Phi Delta Sigma Fraternity gear including clothes, apparel, gifts, merchandise, and accessories by stuff4GREEKS - the paraphernalia of choice. Custom-embroidered Greek clothing and more. Get exclusive Phi Delta Theta Fraternity gear including clothes, apparel, gifts, merchandise, and accessories by stuff4GREEKS - the paraphernalia of choice. Custom-embroidered Greek clothing and more. Get exclusive Phi Eta Chi Fraternity gear including clothes, apparel, gifts, merchandise, and accessories by stuff4GREEKS - the paraphernalia of choice. Custom-embroidered Greek clothing and more. Get exclusive Phi Eta Psi Fraternity gear including clothes, apparel, gifts, merchandise, and accessories by stuff4GREEKS - the paraphernalia of choice. Custom-embroidered Greek clothing and more. Get exclusive Phi Eta Sigma Society gear including clothes, apparel, gifts, merchandise, and accessories by stuff4GREEKS - the paraphernalia of choice. Custom-embroidered Greek clothing and more. Get exclusive Phi Gamma Delta Fraternity gear including clothes, apparel, gifts, merchandise, and accessories by stuff4GREEKS - the paraphernalia of choice. Custom-embroidered Greek clothing and more. Get exclusive Phi Gamma Nu Fraternity gear including clothes, apparel, gifts, merchandise, and accessories by stuff4GREEKS - the paraphernalia of choice. Custom-embroidered Greek clothing and more. Get exclusive Phi Gamma Sigma Fraternity and Sorority gear including clothes, apparel, gifts, merchandise, and accessories by stuff4GREEKS - the paraphernalia of choice. Custom-embroidered Greek clothing and more. Get exclusive Phi Gamma Sigma sorority gear including clothes, apparel, gifts, merchandise, and accessories by stuff4GREEKS - the paraphernalia of choice. Custom-embroidered Greek clothing and more. Get exclusive Phi Iota Alpha gear including clothes, apparel, gifts, merchandise, and accessories by stuff4GREEKS - the paraphernalia of choice. Custom-embroidered Greek clothing and more. Get exclusive Phi Kappa Chi Fraternity gear including clothes, apparel, gifts, merchandise, and accessories by stuff4GREEKS - the paraphernalia of choice. Custom-embroidered Greek clothing and more. Get exclusive Phi Kappa Phi honor society gear including clothes, apparel, gifts, merchandise, and accessories by stuff4GREEKS - the paraphernalia of choice. Custom-embroidered Greek clothing and more. Get exclusive Phi Kappa Psi gear including clothes, apparel, gifts, merchandise, and accessories by stuff4GREEKS - the paraphernalia of choice. Custom-embroidered Greek clothing and more. Get exclusive Phi Kappa Sigma Fraternity gear including clothes, apparel, gifts, merchandise, and accessories by stuff4GREEKS - the paraphernalia of choice. Custom-embroidered Greek clothing and more. Get exclusive Phi Kappa Tau Fraternity gear including clothes, apparel, gifts, merchandise, and accessories by stuff4GREEKS - the paraphernalia of choice. Custom-embroidered Greek clothing and more. Get exclusive Phi Kappa Theta Fraternity gear including clothes, apparel, gifts, merchandise, and accessories by stuff4GREEKS - the paraphernalia of choice. Custom-embroidered Greek clothing and more. Get exclusive Phi Lambda Chi Fraternity gear including clothes, apparel, gifts, merchandise, and accessories by stuff4GREEKS - the paraphernalia of choice. Custom-embroidered Greek clothing and more. Get exclusive Phi Lambda Rho Sorority gear including clothes, apparel, gifts, merchandise, and accessories by stuff4GREEKS - the paraphernalia of choice. Custom-embroidered Greek clothing and more. Get exclusive Phi Lambda Sigma Society gear including clothes, apparel, gifts, merchandise, and accessories by stuff4GREEKS - the paraphernalia of choice. Custom-embroidered Greek clothing and more. Get exclusive Phi Mu gear including clothes, apparel, gifts, merchandise, and accessories by stuff4GREEKS - the paraphernalia of choice. Custom-embroidered Greek clothing and more. Get exclusive Phi Mu Alpha Sinfonia gear including clothes, apparel, gifts, merchandise, and accessories by stuff4GREEKS - the paraphernalia of choice. Custom-embroidered Greek clothing and more. Get exclusive Phi Mu Delta Fraternity gear including clothes, apparel, gifts, merchandise, and accessories by stuff4GREEKS - the paraphernalia of choice. Custom-embroidered Greek clothing and more. Phi Nu Kappa Sorority, Inc.
Get exclusive Phi Nu Kappa sorority gear including clothes, apparel, gifts, merchandise, and accessories by stuff4GREEKS - the paraphernalia of choice. Custom-embroidered Greek clothing and more. Get exclusive Phi Rho Eta Fraternity gear including clothes, apparel, gifts, merchandise, and accessories by stuff4GREEKS - the paraphernalia of choice. Custom-embroidered Greek clothing and more. Get exclusive Phi Sigma Alpha Fraternity gear including clothes, apparel, gifts, merchandise, and accessories by stuff4GREEKS - the paraphernalia of choice. Custom-embroidered Greek clothing and more. Get exclusive Phi Sigma Chi Fraternity gear including clothes, apparel, gifts, merchandise, and accessories by stuff4GREEKS - the paraphernalia of choice. Custom-embroidered Greek clothing and more. Get exclusive Phi Sigma Gamma Fraternity gear including clothes, apparel, gifts, merchandise, and accessories by stuff4GREEKS - the paraphernalia of choice. Custom-embroidered Greek clothing and more. Get exclusive Phi Sigma Kappa Fraternity gear including clothes, apparel, gifts, merchandise, and accessories by stuff4GREEKS - the paraphernalia of choice. Custom-embroidered Greek clothing and more. Get exclusive Phi Sigma Nu Fraternity gear including clothes, apparel, gifts, merchandise, and accessories by stuff4GREEKS - the paraphernalia of choice. Custom-embroidered Greek clothing and more. Get exclusive Phi Sigma Phi Fraternity gear including clothes, apparel, gifts, merchandise, and accessories by stuff4GREEKS - the paraphernalia of choice. Custom-embroidered Greek clothing and more. Get exclusive Phi Sigma Pi National Honor Fraternity gear including clothes, apparel, gifts, merchandise, and accessories by stuff4GREEKS - the paraphernalia of choice. Custom-embroidered Greek clothing and more. Get exclusive Phi Sigma Rho gear including clothes, apparel, gifts, merchandise, and accessories by stuff4GREEKS - the paraphernalia of choice. Custom-embroidered Greek clothing and more. Get exclusive Phi Sigma Sigma Sorority gear including clothes, apparel, gifts, merchandise, and accessories by stuff4GREEKS - the paraphernalia of choice. Custom-embroidered Greek clothing and more. Get exclusive Phi Sigma Theta Society gear including clothes, apparel, gifts, merchandise, and accessories by stuff4GREEKS - the paraphernalia of choice. Custom-embroidered Greek clothing and more. Get exclusive Phi Tau Phi Society gear including clothes, apparel, gifts, merchandise, and accessories by stuff4GREEKS - the paraphernalia of choice. Custom-embroidered Greek clothing and more. Get exclusive Phi Theta Pi Fraternity gear including clothes, apparel, gifts, merchandise, and accessories by stuff4GREEKS - the paraphernalia of choice. Custom-embroidered Greek clothing and more. Get exclusive Phi Theta Sigma sorority gear including clothes, apparel, gifts, merchandise, and accessories by stuff4GREEKS - the paraphernalia of choice. Custom-embroidered Greek clothing and more. Get exclusive Pi Alpha Phi Fraternity gear including clothes, apparel, gifts, merchandise, and accessories by stuff4GREEKS - the paraphernalia of choice. Custom-embroidered Greek clothing and more. Get exclusive Pi Beta Phi gear including clothes, apparel, gifts, merchandise, and accessories by stuff4GREEKS - the paraphernalia of choice. Custom-embroidered Greek clothing and more. Pi Delta Psi Fraternity, Inc.
Get exclusive Pi Delta Psi Fraternity gear including clothes, apparel, gifts, merchandise, and accessories by stuff4GREEKS - the paraphernalia of choice. Custom-embroidered Greek clothing and more. Get exclusive Phi Iota Chi Sorority gear including clothes, apparel, gifts, merchandise, and accessories by stuff4GREEKS - the paraphernalia of choice. Custom-embroidered Greek clothing and more. Get exclusive Pi Kappa Alpha gear including clothes, apparel, gifts, merchandise, and accessories by stuff4GREEKS - the paraphernalia of choice. Custom-embroidered Greek clothing and more. Get exclusive Pi Kappa Chi Fraternity gear including clothes, apparel, gifts, merchandise, and accessories by stuff4GREEKS - the paraphernalia of choice. Custom-embroidered Greek clothing and more. Get exclusive Pi Kappa Delta Society gear including clothes, apparel, gifts, merchandise, and accessories by stuff4GREEKS - the paraphernalia of choice. Custom-embroidered Greek clothing and more. Get exclusive Pi Kappa Phi gear including clothes, apparel, gifts, merchandise, and accessories by stuff4GREEKS - the paraphernalia of choice. Custom-embroidered Greek clothing and more. et exclusive Pi Lambda Chi sorority gear including clothes, apparel, gifts, merchandise, and accessories by stuff4GREEKS - the paraphernalia of choice. Custom-embroidered Greek clothing and more. Get exclusive Pi Lambda Phi gear including clothes, apparel, gifts, merchandise, and accessories by stuff4GREEKS - the paraphernalia of choice. Custom-embroidered Greek clothing and more. Get exclusive Pi Omicron Alpha gear including clothes, apparel, gifts, merchandise, and accessories by stuff4GREEKS - the paraphernalia of choice. Custom-embroidered Greek clothing and more. Get exclusive Pi Sigma Epsilon Fraternity gear including clothes, apparel, gifts, merchandise, and accessories by stuff4GREEKS - the paraphernalia of choice. Custom-embroidered Greek clothing and more. Get exclusive Psi Chi Omega Fraternity gear including clothes, apparel, gifts, merchandise, and accessories by stuff4GREEKS - the paraphernalia of choice. Custom-embroidered Greek clothing and more. Get exclusive Psi Sigma Phi Fraternity gear including clothes, apparel, gifts, merchandise, and accessories by stuff4GREEKS - the paraphernalia of choice. Custom-embroidered Greek clothing and more. Get exclusive Psi Upsilon Fraternity gear including clothes, apparel, gifts, merchandise, and accessories by stuff4GREEKS - the paraphernalia of choice. Custom-embroidered Greek clothing and more. Get exclusive R.O.C.K. Alpha Omega gear including clothes, apparel, gifts, merchandise, and accessories by stuff4GREEKS - the paraphernalia of choice. Custom-embroidered Greek clothing and more. Get exclusive Rho Delta Chi sorority gear including clothes, apparel, gifts, merchandise, and accessories by stuff4GREEKS - the paraphernalia of choice. Custom-embroidered Greek clothing and more. Rho Pi Alpha Fraternity, Inc.
Get exclusive Rho Pi Alpha Fraternity gear including clothes, apparel, gifts, merchandise, and accessories by stuff4GREEKS - the paraphernalia of choice. Custom-embroidered Greek clothing and more. Get exclusive Rho Pi Phi Fraternity gear including clothes, apparel, gifts, merchandise, and accessories by stuff4GREEKS - the paraphernalia of choice. Custom-embroidered Greek clothing and more. Get exclusive Shriners gear including clothes, apparel, gifts, merchandise, and accessories by stuff4GREEKS - the paraphernalia of choice. Custom-embroidered Greek clothing and more. Get exclusive Sigma Alpha Epsilon Fraternity gear including clothes, apparel, gifts, merchandise, and accessories by stuff4GREEKS - the paraphernalia of choice. Custom-embroidered Greek clothing and more. Get exclusive Sigma Alpha Epsilon Pi sorority gear including clothes, apparel, gifts, merchandise, and accessories by stuff4GREEKS - the paraphernalia of choice. Custom-embroidered Greek clothing and more. Get exclusive Sigma Alpha Iota gear including clothes, apparel, gifts, merchandise, and accessories by stuff4GREEKS - the paraphernalia of choice. Custom-embroidered Greek clothing and more. Get exclusive Sigma Alpha Mu Fraternity gear including clothes, apparel, gifts, merchandise, and accessories by stuff4GREEKS - the paraphernalia of choice. Custom-embroidered Greek clothing and more. Get exclusive Sigma Alpha Omega sorority gear including clothes, apparel, gifts, merchandise, and accessories by stuff4GREEKS - the paraphernalia of choice. Custom-embroidered Greek clothing and more. Get exclusive Sigma Alpha Zeta sorority gear including clothes, apparel, gifts, merchandise, and accessories by stuff4GREEKS - the paraphernalia of choice. Custom-embroidered Greek clothing and more. Get exclusive Sigma Beta Fraternity gear including clothes, apparel, gifts, merchandise, and accessories by stuff4GREEKS - the paraphernalia of choice. Custom-embroidered Greek clothing and more. Get exclusive Sigma Beta Xi sorority gear including clothes, apparel, gifts, merchandise, and accessories by stuff4GREEKS - the paraphernalia of choice. Custom-embroidered Greek clothing and more. Get exclusive Sigma Chi Fraternity gear including clothes, apparel, gifts, merchandise, and accessories by stuff4GREEKS - the paraphernalia of choice. Custom-embroidered Greek clothing and more. Get exclusive Sigma Chi Iota sorority gear including clothes, apparel, gifts, merchandise, and accessories by stuff4GREEKS - the paraphernalia of choice. Custom-embroidered Greek clothing and more. Get exclusive Sigma Delta Alpha Fraternity gear including clothes, apparel, gifts, merchandise, and accessories by stuff4GREEKS - the paraphernalia of choice. Custom-embroidered Greek clothing and more. Get exclusive Sigma Delta Lambda sorority gear including clothes, apparel, gifts, merchandise, and accessories by stuff4GREEKS - the paraphernalia of choice. Custom-embroidered Greek clothing and more. Get exclusive Sigma Delta Sigma sorority gear including clothes, apparel, gifts, merchandise, and accessories by stuff4GREEKS - the paraphernalia of choice. Custom-embroidered Greek clothing and more. Get exclusive Sigma Delta Tau gear including clothes, apparel, gifts, merchandise, and accessories by stuff4GREEKS - the paraphernalia of choice. Custom-embroidered Greek clothing and more. Get exclusive Sigma Epsilon Omega Fraternity gear including clothes, apparel, gifts, merchandise, and accessories by stuff4GREEKS - the paraphernalia of choice. Custom-embroidered Greek clothing and more. Get exclusive Sigma Gamma Phi sorority gear including clothes, apparel, gifts, merchandise, and accessories by stuff4GREEKS - the paraphernalia of choice. Custom-embroidered Greek clothing and more. 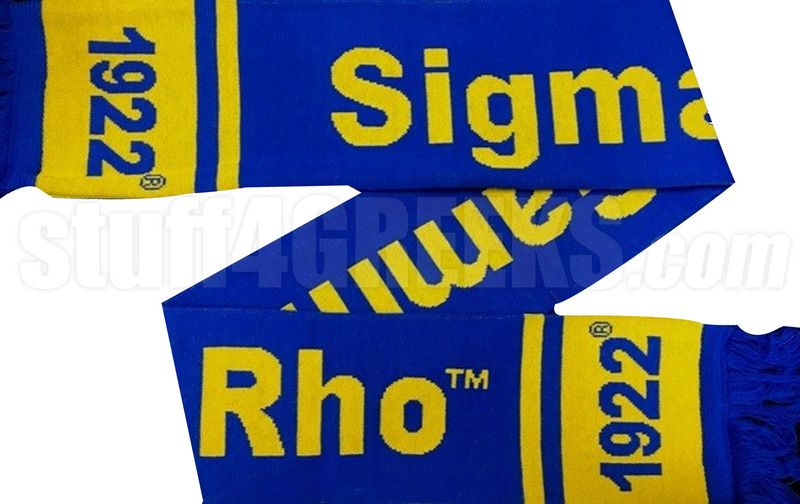 Get exclusive Sigma Gamma Rho sorority gear including clothes, apparel, gifts, merchandise, and accessories by stuff4GREEKS - the paraphernalia of choice. Custom-embroidered Greek clothing and more. Get exclusive Sigma Gent gear including clothes, apparel, gifts, merchandise, and accessories by stuff4GREEKS - the paraphernalia of choice. Custom-embroidered Greek clothing and more. Get exclusive Sigma Iota Alpha sorority gear including clothes, apparel, gifts, merchandise, and accessories by stuff4GREEKS - the paraphernalia of choice. Custom-embroidered Greek clothing and more. Get exclusive Sigma Iota Sigma sorority gear including clothes, apparel, gifts, merchandise, and accessories by stuff4GREEKS - the paraphernalia of choice. Custom-embroidered Greek clothing and more. Get exclusive Sigma Iota Sigma Multicultural Sorority sorority gear including clothes, apparel, gifts, merchandise, and accessories by stuff4GREEKS - the paraphernalia of choice. Custom-embroidered Greek clothing and more. Get exclusive Sigma Kappa gear including clothes, apparel, gifts, merchandise, and accessories by stuff4GREEKS - the paraphernalia of choice. Custom-embroidered Greek clothing and more. Get exclusive Sigma Kappa Phi gear including clothes, apparel, gifts, merchandise, and accessories by stuff4GREEKS - the paraphernalia of choice. Custom-embroidered Greek clothing and more. Get exclusive Sigma Lambda Beta International Fraternity gear including clothes, apparel, gifts, merchandise, and accessories by stuff4GREEKS - the paraphernalia of choice. Custom-embroidered Greek clothing and more. Get exclusive Sigma Lambda Gamma National Sorority gear including clothes, apparel, gifts, merchandise, and accessories by stuff4GREEKS - the paraphernalia of choice. Custom-embroidered Greek clothing and more. Get exclusive Sigma Nu Delta gear including clothes, apparel, gifts, merchandise, and accessories by stuff4GREEKS - the paraphernalia of choice. Custom-embroidered Greek clothing and more. Get exclusive Sigma Nu Fraternity gear including clothes, apparel, gifts, merchandise, and accessories by stuff4GREEKS - the paraphernalia of choice. Custom-embroidered Greek clothing and more. Get exclusive Sigma Omega Epsilon sorority gear including clothes, apparel, gifts, merchandise, and accessories by stuff4GREEKS - the paraphernalia of choice. Custom-embroidered Greek clothing and more. Get exclusive Sigma Omega Nu Sorority gear including clothes, apparel, gifts, merchandise, and accessories by stuff4GREEKS - the paraphernalia of choice. Custom-embroidered Greek clothing and more. Get exclusive Sigma Omega Phi Fraternity gear including clothes, apparel, gifts, merchandise, and accessories by stuff4GREEKS - the paraphernalia of choice. Custom-embroidered Greek clothing and more. Get exclusive Sigma Omega Phi sorority gear including clothes, apparel, gifts, merchandise, and accessories by stuff4GREEKS - the paraphernalia of choice. Custom-embroidered Greek clothing and more. Get exclusive Sigma Phi Delta Fraternity gear including clothes, apparel, gifts, merchandise, and accessories by stuff4GREEKS - the paraphernalia of choice. Custom-embroidered Greek clothing and more. Get exclusive Sigma Phi Epsilon Fraternity gear including clothes, apparel, gifts, merchandise, and accessories by stuff4GREEKS - the paraphernalia of choice. Custom-embroidered Greek clothing and more. Get exclusive Sigma Phi Gamma sorority gear including clothes, apparel, gifts, merchandise, and accessories by stuff4GREEKS - the paraphernalia of choice. Custom-embroidered Greek clothing and more. Get exclusive Sigma Phi Kappa Fraternity gear including clothes, apparel, gifts, merchandise, and accessories by stuff4GREEKS - the paraphernalia of choice. Custom-embroidered Greek clothing and more. Get exclusive Sigma Phi Lambda gear including clothes, apparel, gifts, merchandise, and accessories by stuff4GREEKS - the paraphernalia of choice. Custom-embroidered Greek clothing and more. Sigma Phi Rho Fraternity, Inc.
Get exclusive Sigma Phi Rho Fraternity gear including clothes, apparel, gifts, merchandise, and accessories by stuff4GREEKS - the paraphernalia of choice. Custom-embroidered Greek clothing and more. Get exclusive Sigma Pi Alpha gear including clothes, apparel, gifts, merchandise, and accessories by stuff4GREEKS - the paraphernalia of choice. Custom-embroidered Greek clothing and more. Get exclusive Sigma Pi Fraternity gear including clothes, apparel, gifts, merchandise, and accessories by stuff4GREEKS - the paraphernalia of choice. Custom-embroidered Greek clothing and more. Get exclusive Sigma Rho Lambda Fraternity gear including clothes, apparel, gifts, merchandise, and accessories by stuff4GREEKS - the paraphernalia of choice. Custom-embroidered Greek clothing and more. Get exclusive Sigma Rho Lambda Sorority gear including clothes, apparel, gifts, merchandise, and accessories by stuff4GREEKS - the paraphernalia of choice. Custom-embroidered Greek clothing and more. Get exclusive Sigma Rhomeo gear including clothes, apparel, gifts, merchandise, and accessories by stuff4GREEKS - the paraphernalia of choice. Custom-embroidered Greek clothing and more. Get exclusive Sigma Sigma Sigma gear including clothes, apparel, gifts, merchandise, and accessories by stuff4GREEKS - the paraphernalia of choice. Custom-embroidered Greek clothing and more. Get exclusive Sigma Tau Gamma Fraternity gear including clothes, apparel, gifts, merchandise, and accessories by stuff4GREEKS - the paraphernalia of choice. Custom-embroidered Greek clothing and more. Get exclusive Sigma Theta Chi Fraternity gear including clothes, apparel, gifts, merchandise, and accessories by stuff4GREEKS - the paraphernalia of choice. Custom-embroidered Greek clothing and more. Get exclusive Sigma Theta Psi Multicultural Sorority gear including clothes, apparel, gifts, merchandise, and accessories by stuff4GREEKS - the paraphernalia of choice. Custom-embroidered Greek clothing and more. Get exclusive SPLIFF gear including clothes, apparel, gifts, merchandise, and accessories by stuff4GREEKS - the paraphernalia of choice. Custom-embroidered Greek clothing and more. Get exclusive Swing Phi Swing gear including clothes, apparel, gifts, merchandise, and accessories by stuff4GREEKS - the paraphernalia of choice. Custom-embroidered Greek clothing and more. Get exclusive T.R.I. C. gear including clothes, apparel, gifts, merchandise, and accessories by stuff4GREEKS - the paraphernalia of choice. Custom-embroidered Greek clothing and more. Get exclusive Tau Beta Sigma Honorary Band Sorority gear including clothes, apparel, gifts, merchandise, and accessories by stuff4GREEKS - the paraphernalia of choice. Custom-embroidered Greek clothing and more. Get exclusive Tau Gamma Delta sorority gear including clothes, apparel, gifts, merchandise, and accessories by stuff4GREEKS - the paraphernalia of choice. Custom-embroidered Greek clothing and more. Get exclusive Tau Gamma Sigma sorority gear including clothes, apparel, gifts, merchandise, and accessories by stuff4GREEKS - the paraphernalia of choice. Custom-embroidered Greek clothing and more. Get exclusive The Links Incorporated gear including clothes, apparel, gifts, merchandise, and accessories by stuff4GREEKS - the paraphernalia of choice. Custom-embroidered Greek clothing and more. Get exclusive Theta Chi Psi Fraternity gear including clothes, apparel, gifts, merchandise, and accessories by stuff4GREEKS - the paraphernalia of choice. Custom-embroidered Greek clothing and more. Get exclusive Theta Nu Xi sorority gear including clothes, apparel, gifts, merchandise, and accessories by stuff4GREEKS - the paraphernalia of choice. Custom-embroidered Greek clothing and more. Get exclusive Theta Phi Alpha Women's Fraternity gear including clothes, apparel, gifts, merchandise, and accessories by stuff4GREEKS - the paraphernalia of choice. Custom-embroidered Greek clothing and more. Get exclusive Theta Phi Sigma sorority gear including clothes, apparel, gifts, merchandise, and accessories by stuff4GREEKS - the paraphernalia of choice. Custom-embroidered Greek clothing and more. Get exclusive Theta Pi Psi Fraternity gear including clothes, apparel, gifts, merchandise, and accessories by stuff4GREEKS - the paraphernalia of choice. Custom-embroidered Greek clothing and more. Get exclusive Theta Xi Theta Fraternity gear including clothes, apparel, gifts, merchandise, and accessories by stuff4GREEKS - the paraphernalia of choice. Custom-embroidered Greek clothing and more. Get exclusive Top Ladies Of Distinction gear including clothes, apparel, gifts, merchandise, and accessories by stuff4GREEKS - the paraphernalia of choice. Custom-embroidered Greek clothing and more. Get exclusive Upsilon Kappa Tau gear including clothes, apparel, gifts, merchandise, and accessories by stuff4GREEKS - the paraphernalia of choice. Custom-embroidered Greek clothing and more. Get exclusive Zeta Beta Tau Fraternity gear including clothes, apparel, gifts, merchandise, and accessories by stuff4GREEKS - the paraphernalia of choice. Custom-embroidered Greek clothing and more. Get exclusive Zeta Nu Delta sorority gear including clothes, apparel, gifts, merchandise, and accessories by stuff4GREEKS - the paraphernalia of choice. Custom-embroidered Greek clothing and more. Get exclusive Zeta Phi Beta sorority gear including clothes, apparel, gifts, merchandise, and accessories by stuff4GREEKS - the paraphernalia of choice. Custom-embroidered Greek clothing and more. Zeta Phi Rho Fraternity, Inc.
Get exclusive Zeta Phi Rho Fraternity gear including clothes, apparel, gifts, merchandise, and accessories by stuff4GREEKS - the paraphernalia of choice. Custom-embroidered Greek clothing and more. Get exclusive Zeta Phi Zeta Fraternity and Sorority gear including clothes, apparel, gifts, merchandise, and accessories by stuff4GREEKS - the paraphernalia of choice. Custom-embroidered Greek clothing and more. Get exclusive Zeta Tau Alpha gear including clothes, apparel, gifts, merchandise, and accessories by stuff4GREEKS - the paraphernalia of choice. 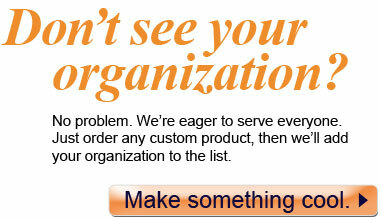 Custom-embroidered Greek clothing and more. Chi Gamma Xi Chi Multicultural Sorority, Inc.